My thanks to Cheryl Morgan for pointing me at Charlie Stross linking to a study potentially linking Type 2 Diabetes with Titanium Dioxide, which is very common, and in fact particularly common right across the street from me. There is a Sherwin-Williams paint factory in Fernley, and TiO2 is an input product to many paints. 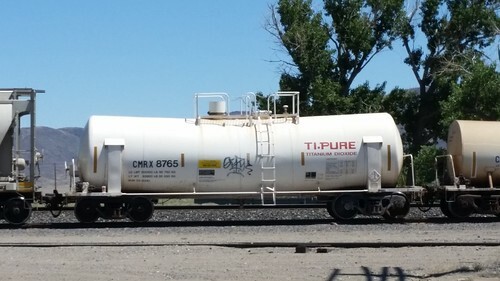 Not that I'm particularly worried about these tank cars. The study suggest that it's the ingestion TiO2 in food dye and such that may be linked to the uptick in Type 2 Diabetes, such as what I have. This is only an initial study, on a small number of cases, but the figures suggest to me that a larger study is in order. This could be huge.